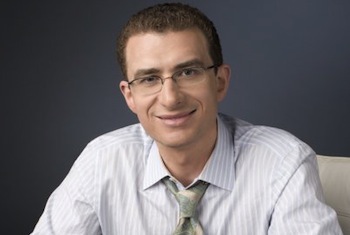 CNN's Joshua Levs is one of the most social media-savvy journalists in broadcast news. Social Media content on MediaShift is sponsored by the John S. Knight Journalism Fellowships, a program offering innovative and entrepreneurial journalists the resources of Stanford University and Silicon Valley. Learn more here. When Joshua Levs left NPR’s Atlanta Bureau to become a correspondent for CNN, he found that something was missing. Specifically, it was time. The rapid pace of TV left him with a fraction of the time he once had to present the many layers of a story. In the end, Levs saw that social media could fill the gap and provide an additional avenue for him to share information and connect. “I like to give more information,” Levs said. “Social media is a way for me to tell you more than I can on air.” That’s one reason he often closes a story by saying that he’ll post additional details on his Twitter account or Facebook page. One of the most social media-savvy journalists in broadcast news, the Murrow-award winner and Yale grad has carved out a niche both in complex international and economic stories, and fun, offbeat features such as his weekly “Viral Video Rewind” segment. (Anchor Kyra Phillips last month called him one of CNN’s “premier Facebookers.”) But social media isn’t just about getting information out there — it’s also about bringing it in. One of Levs’ most recognizable efforts was his coverage of the violent Iran election protests in June 2009. Even though Iran banned journalists from covering protests over the disputed victory of President Mahmoud Ahmadinejad, outraged citizens posted videos of the violent repercussions online. A CNN editorial team worked around the clock reviewing them. “We would talk and look at the videos that came in and say, ‘What do we know about it? Can we verify anything here? Do we recognize the location? Is there anyone at all we can reach to help us understand what’s in here?’ It went through a pretty complex and important — but also swift — vetting process,” Levs said. Finally they decided which videos to air, and which ones needed scenes blurred, like the death of 26-year-old Neda Agha-Soltan. Levs presented the videos with what he describes as a message of total transparency. “We would say on the air, ‘Look, because of these limitations now inside Iran, there’s a lot we cannot tell you; here’s what we do know about this video,’” he said. Today, social media is a critical daily newsgathering tool. For example, Levs covered voting irregularities in the November elections this year, just as he did in 2008. But this year brought a large-scale social media outreach to viewers. “We said ‘Hey, any information you get, any experiences you have, and questions, problems — get in touch with us,’” he said. Levs said he’s seeing more law enforcement and court officials using social media when big stories break. For example, law enforcement officials used Twitter to update the media during September’s hostage stand-off at Discovery Channel headquarters in Silver Spring, Maryland. Politicians and even federal agencies now use social media. Just as using social media for newsgathering requires caution, communicating with viewers takes care as well, according to Levs. He said reporters should be sure they only post items of value that are appropriate and worthy of being in print or on the air. “It’s easy to get lost in the maze on Twitter and on Facebook, so you want to be sure that you keep in mind what your role is — that’s what you’re focusing on all the time,” he said. He also features some of the week’s most interesting and often funniest viral videos. Terri Thornton, a former investigative reporter and TV news producer, owns Thornton Communications, an award-winning PR and social media firm. She is also a freelance editor for Strategic Finance and Management Accounting Quarterly.